The Chadwell war memorial was erected in the 1920s on the north side of the church. Originally there were eight names from the 1st World War. In 2005, the memorial was moved a small distance and access for wheelchairs was improved. At the same time, five names were added from the 2nd World War. These were restricted to names for which permission could be obtained from their families. 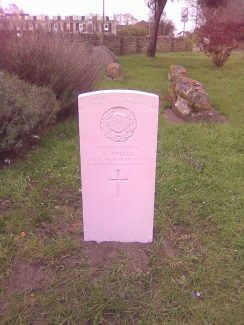 Although he is not listed on the memorial, a Commonwealth War Graves headstone was erected in March 2012, close to the war memorial in memory of Stanley Ansell who died in 1919. In the graveyard to the south of the church there are 4 other CWG headstones – to Frederick James Baker, to Henry Woodury Bugler, to James Paterson and to James Wall, none of whom are on the war memorial. There is also a family memorial to William Alma Cooper on the west side of the church. There are additional CWG headstones in the municipal cemetery on Brentwood Road. Bugler’s wargrave does not have a Commission Headstone-it is a Private Memorial. Soon there will be another Commission Headstone commemorating William Ansell. 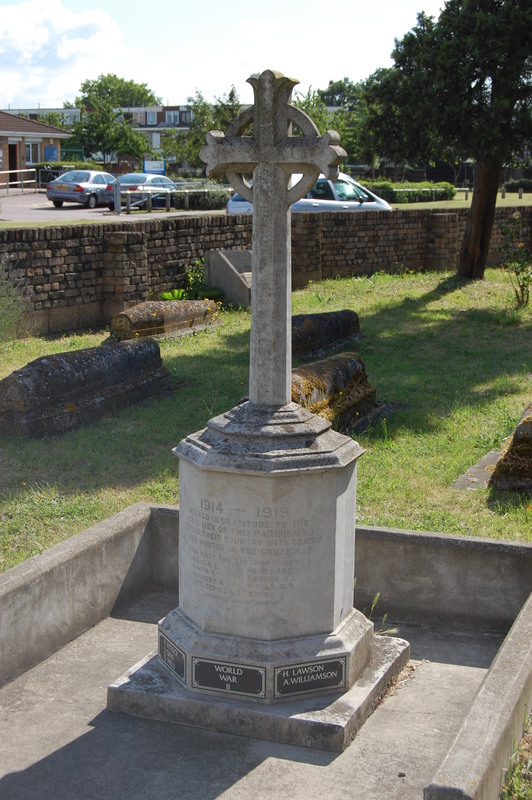 Thurrocks Great War Memorials records that the Chadwell memorial was unveiled on 23rd May, 1920, by Champion B Russell and G H Silverwood.